Let's talk about earth or rather our Mother Earth. This is the way we should call her because since we first stepped into this world, she has feed us and kept us alive. This applies to all living things without exception. Earth is a large living being with a huge heart that vibrates, feels and suffers like us. At one point in time, farmers worked the land with so much love that Mother Earth was able to feel the human warmth emanating from their hands. In turn, she reciprocated this love by offering all her fruits to us. In the last few decades, we have suffocated the earth with millions of tons of fertilizers, herbicides and pesticides, extracted precious metals and gases, and dumped lethal poisons into her waters. She has reached a point that she cannot take this any longer. She is expressing her anger with floods, earthquakes and other disasters. This is happening more often and will continue to get worse if we do not stop the madness. 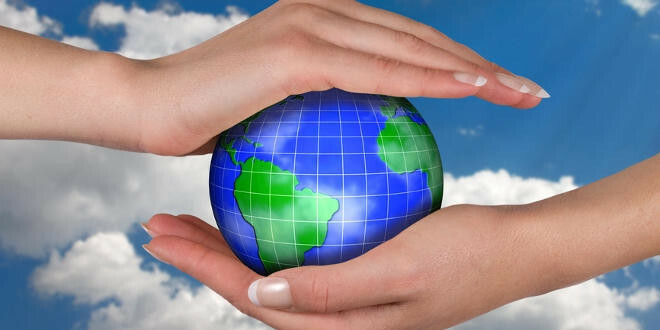 There is a gentle way of healing Mother Earth from the abuses that we have caused directly or indirectly. As individuals, we have a physical body but we are also made of pure energy. This innate divine power has been within each one of us always. Positive thoughts are also a form of energy and we can express these thoughts into physical manifestations in order to change our situation on this planet. You can start by sending thoughts of gratitude for what Mother Earth has given us until now and what she will continue to give us for generations to come. The energy generated by your thoughts will help start the process of purifying, healing and invigorating our beloved Mother Earth. Find a quiet place where there are no noises that can disturb you. Sit in a comfortable chair with your feet firmly on the floor. Now, close your eyes. Imagine that you are sitting in a magnificent garden with trees of many sizes, shapes and colours. Like the trees that are surrounding you, you are grounded to the Earth and roots are flowing out of your feet into the core of the Earth. 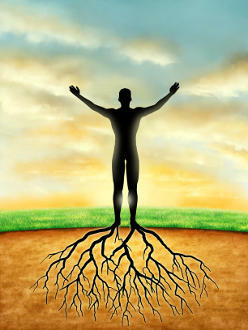 Through your roots, slowly release the powerful energy within you into the Earth so she can absorb and assimilate it. Feel your healing energy merging with hers. She is gently returning this wonderful energy to you, the trees and all the living things within your magnificent garden. You are looking at the trees, and you can see that this energy is flowing upwards like a white, pure sap starting from the roots until all branches of the trees are filled with this loving energy. Feel the love as you are now one with Mother Earth . Stay in this blissful state for as long as you wish and then take a deep breath to return to your normal surroundings. Open your eyes. Be grateful to the Universe for letting you participate in the process of Earth's rejuvenation. By sending your unique healing energy to Mother Earth, you are making a very important contribution to transforming this world into a better place for all of us.